We're totally OBSESSED with her! Baby Olivia Manzano Reyes does not have her own Snapchat account—but her mom Andi Manzano sure does! Since we don’t get to check everyone we're following on Snapchat every single day, we miss out on some very important Baby O updates. 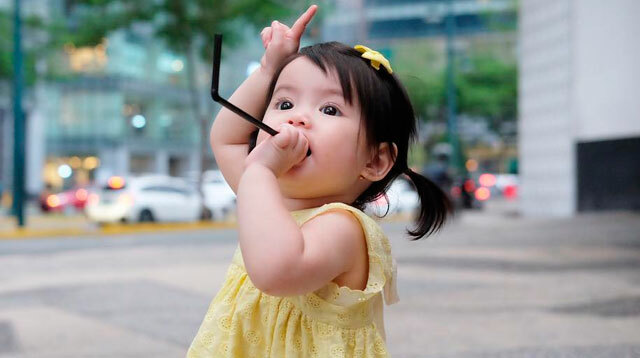 Thankfully though, there’s someone else who’s (more) obsessed with this Next Gen It Girl and who actually made a fan account on IG for all of Baby O’s snaps! Really, whatever this girl does is absolutely ADORABLE. Casually munching on me fave foodies. For more Baby O snaps, check out @pilaroliviasnaps to feed your curiosity!